The Savannah NWR was established in 1927. It is comprised of 14,163 acres in Georgia and 15, 011 in South Carolina. We first encounter the refuge, across from the Imperial Sugar Refinery, where the middle river begins. At this point, the refuge is on the South Carolina side of the Savannah River, but up the river just a few miles, it straddles the river, then winds up only on the Georgia side. 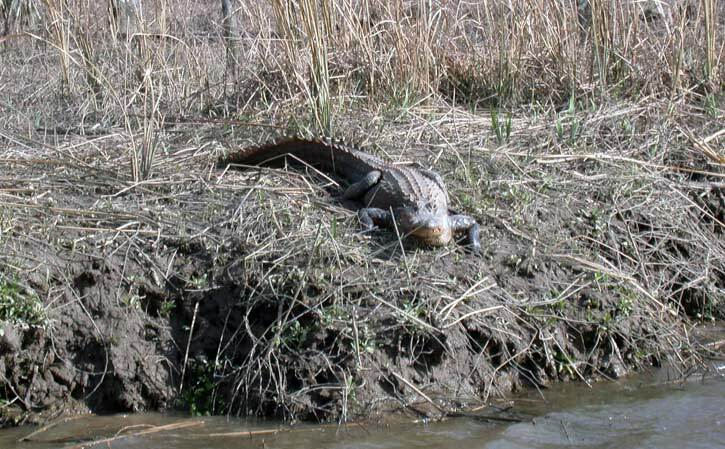 In all, there are 38 miles of river and 25 miles of streams and creeks within the refuge. The Savannah NWR is home to a variety of wildlife that includes: ducks geese, wading birds, shorebirds, American alligators, and several endangered and/or threatened species, such as bald eagles, wood storks, manatees, and shortnose sturgeon.